This post was updated in May 2018 to reflect the most recent information available. Are you applying to a top MBA program? Think you need to earn a 760 to do so? Think again. If you have a strong business school application, you likely won’t need a near-perfect GMAT score for admission into a top MBA program. But how do you know if your GMAT score is up to par with your dream school’s GMAT requirements? Have no fear; we’ve collected GMAT score data from the admissions offices of all the top business schools to bring you the most recent data in average GMAT scores by school. Special update: We’ve collected the very most recent information for average GMAT scores by school for the top 10 business schools in the United States. See the section immediately below. Note: This is the most up-to-date information on average GMAT scores by school, GMAT requirements by schools, and other important statistics. All data for Harvard GMAT scores, Stanford GMAT scores, and the rest (including school ranking), comes from U.S. News and Word Report. Of course, there’s a lot more out there than just the top 10. When it comes to finding your fit and researching MBA programs, the ranking numbers don’t tell the whole story. Scroll down to see average GMAT scores for a wide range of reputable b-schools in the USA. Note: This information is recent, but is not quite as up-to-date as the data in the table above. Still, these stats should give you a pretty good idea of these schools’ GMAT requirements and expectations. More updates will be coming soon. In the meantime, use this table to get a general idea of where you stand with each school. Important to note: officially, the GMAT scale for verbal and quantitative goes up to 60, but in practice, the scale tops out at 51. Nowadays, a verbal subscore of 46 would get you in the 99th GMAT score percentile, while a 51 quant subscore would be in the 97th. How can I get into a Top Business School? To accurately assess your GMAT score, you must understand the big picture of GMAT admissions, and remember that your GMAT score is just one part of your application. 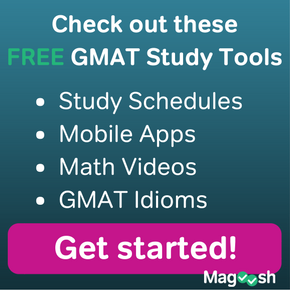 First, familiarize yourself with GMAT scoring. Then, compare your score to the average GMAT scores by school of admitted students at your target programs. Keep in mind that an average score for a top business school is not the bare minimum you need to get in–approximately half of applicants get into that school with less than that average score. (In other words, not all Wharton students attained a 732 score even though that’s the average Wharton GMAT score). That means you can think about it as just that–an average score. If your GMAT is good enough for the programs you like (say, for example, you want to go to University of Chicago and your score is a 726, just as Booth’s GMAT score is a 726), then focus your energy on strengthening other aspects of your application. And if your score doesn’t quite make the cut, then consider retaking the GMAT only so you can distinguish yourself from other applicants with a similar application profile to yours. 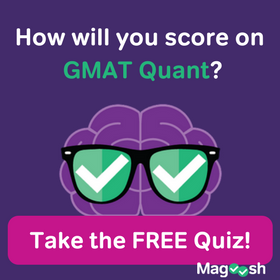 What is a Good GMAT Score for You? Ultimately, you have to decide what is a good GMAT score for you. GMAT scores may be paramount to the application process, but even a 720 combined score won’t get you into the best business schools without a strong application to back it up. Your entire profile must honestly and effectively represent your successes, abilities, and potential. Still … a 720 can’t hurt. I am currently working with a IT company and have completed one year experience. I am planning to give GMAT now. Can you suggest me when is the good time to take this test? When do the colleges start their admission procedures? How many months of preparation being a working individual should be enough to get a good score. Kindly give me your suggestions. This all depends on what round you want to apply to. Most MBA programs accept applications in three rounds per year. Magoosh has an article on that, actually. Check out our blog post on GMAT testing dates and application rounds. I m presently working for 6 + years in coal industry (for details coal India limited ,a psu based in India) as a deputy manager in electrical and maintenance..I want to pursue MBA , Will top colleges accept me to join in their programs ? I have specifically these questions in mind …Please answer my query .. Nothing you’ve said will stand in the way of entering an MBA program, but there is a ton more than just your work experience. I recommend reading the admissions criteria for some programs you want to enter. This might help you size up where you stand. Good luck! i am an Indian student with above average academic recordtill my graduation. 86% in 10th, 73% in 12th,and 69% in graduation,What should be my intended GMAT score to get a top level b school in US.please clarify the sources of scholarships to carry out the education there if i get a chance,as am from a poor background. As you may have read in some of our other posts, we unfortunately don’t have nearly as much expertise and experience in graduate school admissions (e.g., scholarship info) as we do with test prep, so I’m afraid we can’t be of much help. However, with regard to the GMAT score, I would recommend trying to score above your target school’s median GMAT score. The GMAT score is only one piece of your application, but you want to make sure you can strengthen each portion of your application that you still have control over. With regard to scholarships, I would contact your target programs to see what scholarship opportunities they have available and how you get best position yourself. I was wondering if Academic or General Module Ielts test score is required for the GMAT application? For international students, most B-schools require an English proficiency exam of some sort in addition to a GMAT score. The vast majority of business schools accept both the TOEFL and the IELTS academic. I’ve never heard of an MBA or other business program requiring a score in IELTS General Training. Bear in mind though, that individual university policies on English testing can vary. To be certain of your English testing requirements, check the specific rules for the schools you’re applying to. Hi dis is sidhartha I want to pursue MBA in biotechnology. Can you list out few good MBA biotech colleges. Generally, Penn State, the University of Pennsylvania, Johns Hopkins University, and the University of North Carolina are regarded as the best schools in America for this kind of dual program. Hey there, good job with the infographic! I want to apply for my Masters in International Business in Europe. Currently, my top 2 choices are the Stockholm School of Economics and the Copenhagen Business School, because as I’m European (dual citizenship – Brazilian and Italian) this type of course in Scandinavia (also Germany, not sure though) would be tuition free for me. However, I also want to consider other alternatives in Europe, compare the prices, etc. But it’s been tough to find rankings / gmat average scores as most of them are focused on MBA applicants, mostly in the US. I will take my GMAT exam in a month from today. Unfortunately, our expertise is more in test prep than MBA admissions, and we don’t have much experience with European schools, so I’m afraid I can’t be of much help! However, the following Forbes article about international business schools might be helpful for you: http://www.forbes.com/international-business-schools/#6d0a143368f8 . Do you recommend to re-appear for GMAT, if one scores 710 (Q-51; V-35)? I am coming from an over-representative pool of applicants (Indian IT Male) and want to study in one in top 10. Thanks a lot. In any situation where a higher score would benefit you, you have the money to do it over AND you are confident you could improve your score, I would advise retaking the test. So the main question is this: do you think you could improve your score if you took it again? Getting into highly competitive schools calls for careful refining and improvement of your entire applicant profile, including test scores. I am a recent graduate and I have a bachelor degree in Airport Management. I am thinking of pursuing a career in Business Administration. So I thought of doing MBA, however I am not quiet sure if I have to have a management/business administration background in order for me to enroll in a MBA program. I haven’t taken the GMAT yet and would highly appreciate any comments or suggestions. Also I only have retail and customer service experience in the Airline Industry. I am not sure if I can enroll in a graduate school without professional work experience, preferably one of the top ones like Colombia, NYU, Pace etc. Most top MBA programs take a “holistic” look at your application materials. By this I mean they look at a combination of past academic performance, GMAT score, and professional experience. Someone with relatively little professional experience may be able to gain admission with good past grades and a strong GMAT score. As for your work history, you may be able to use your past retail and customer service to meet MBA admissions requirements. Often, what an MBA program really wants to see is that you can explain– in an essay, interview, or application questionnaire– how your past work experience demonstrates professional development. I recommend you think carefully about how the jobs you’ve held so far have led you down the MBA path. You may want to consider asking advice from an admissions counselor on this as well. I have given my GMAT and I scored 550. Could you suggest a few Business schools in USA for Human Resource Management for Spring/ Fall 2017? Congrats on taking the GMAT! Unfortunately, we don’t have nearly as much expertise and experience in graduate school admissions as we do with GMAT prep, so I’m afraid we can’t be of much help. However, I’d recommend checking out websites like U.S. News Rankings and Reviews or Grad Café to find programs that fit you 🙂 Also, a quick Google search can help get you started to find programs that you may find interesting. I am a fresher completing b.tech this year.my cgpa is 7.04/10.i want to do MBA in top business schools.can I GET a good application to apply for a top b school.please help me either i have to join or not?? There are many factors that business schools consider when evaluating applicants, including GPA, GMAT scores, and work experience. I recommend researching the programs you’re interested in and/or contacting these programs directly to find out about what they consider to be the components of a strong application. hii….i got 718 in gmat…but my gpa is 7.0….should i try for more in gmat..or i can get a chance in top b schools????? As you can see from the chart on this blog, you have a very competitive GMAT score. Congrats on your score 🙂 Since your GMAT score is only one aspect of your application, I’d recommend focusing on making sure the other parts of your application are strong rather than investing a lot of time preparing for a retake. Now, with that said, we don’t have nearly as much expertise and experience in graduate school admissions as we do with GMAT prep, so I’m afraid we can’t be of much help. However, here’s another post that can you evaluate your scores. Additionally, I’d recommend directly contacting the schools/programs you’re interested in to see if they can offer any insight, or check out the programs’ websites to see if they have any info! I recommend looking at the application requirements for the schools/programs you’re interested in. Typically MBA programs require the GMAT, so it may not make sense for you to prepare for and take the GRE if you’re interested in such degree programs. On the other hand, other Master’s and PhD programs prefer or require the GRE. Great Post. Definitely helped a lot. I have a question that would help me decide if I should take my GMAT now or in couple of years. I have around 3 years experience of working at Accenture and a medium sized company on Quality Assurance practices. I completed my Master’s program and wish to pursue MBA. Now, is this experience (QA) relevant to give me an advantage or I should get myself into a consulting job so that the scores I get would suffice? Also, would the fact that I have an Advanced degree and previous experience give me an advantage if I have a comparatively lower score (Score like 630-80). In many business schools–and especially ones in the US–the onus is on you to prove that your past experience has given you relevant skills and understanding to be able to do well in the MBA programs. In addition, you typically need a very clear statement of purpose which defines your goals and reasons for wanting the MBA. These components are very important and will be the defining factor that sets your application apart, especially if your GMAT score is not 720+. GMAT scores are technically valid for 5 years, but I would recommend having one that is no more than 2-3 years old when you apply because it can be a red flag if someone applies on a nearly expired GMAT score and otherwise has an average profile. This is a great blog post. I am considering to write the GMAT test this year. However i have an extended degree. (5 year course instead of 4 and a grade point off 6.0 out of 10) in what way do you think this will affect my application? Also whatever work experience i have is from working at startups and not MNC’s. Can i get an overview of my chances? I really need to decide whether to invest my time and energy with this. Please help me. Your extended degree (5 years vs 4) is not a problem at all, though the 6.0/10 GPA might be something you have to overcome–if you can get good references and a strong GMAT score, these things will help you prove your worthiness, though you may find it challenging to get into some of the very top programs. I personally know three people who have recently gotten into competitive MBA programs because they had unique and new experiences by working for a startup. They had a broader base of knowledge through these experiences, and they were able to make a strong impression on admissions officers. Depending where you want to attend, the rules may be different, but a MNC is not considered superior to other relevant experience in the US. You have a great chance to get into many schools depending on your GMAT scores, your letters and statements, and how you spin the value of your experience. Applying for programs in the US is a matter of really demonstrating your inherent value and unique skills rather than being exactly a certain way. You can definitely do it, but there is a lot of hard work ahead of you if you want to be competitive! I hope that helps a little! 🙂 I recommend doing some research on the entry requirements for some programs you like so you can start to determine what you need to do to get where you want to go! The specifics of each application will matter but be slightly different school by school, so you will want to do some research on your favorite schools! i have already completed MBA program in my country but it as i want to work in top consulting companies such as BCG and McKinsey i would like to apply for master to top universities. the fact that i already have MBA Degree will affect my application? Unfortunately, we don’t have nearly as much expertise and experience in graduate school admissions as we do with GMAT prep, so I’m afraid we can’t be of much help. So, I’d recommend directly contacting the schools/programs you’re interested in to see if they can offer any insight, or check out the programs’ websites to see if they have any info! This website is also a great place to start your research: Best Graduate Schools. You can always try for Executive MBA. We’ll put it on our list of GMAT blog topics! Thanks for this helpful article.. This is Alex, I am Airline Pilot and have done my Bachelors in Business Management online more over, I’m planning to go for MBA at Ivy Leagues. Do you think that my online Undergrad and my airline experience will do any better on my application to any Ivy leagues? I’ve no business Experience. thank you so much for such! Thanks for this amazing article. My GMAT Score is 770 but my GPA is extremely low (3.2) and I have an experience in analytics for close to 4 years. What are my chances of getting through Harvard /Stanford etc. Should I even bother applying for them? I took the GMAT in June and am planning on applying for Fall 2016. I got a 720 total, Q47 V41, 6 on the Essay and 4 on IR. My undergrad was a BA in Environmental Studies, and I’ve had little to no Math or Finance experience in my 3+ years at my job. My top schools are Stanford, Berkeley and NYU. I’ve read quite a few posts advising not to take the GMAT again if you got a 720, and to focus on the rest of the ap. BUT I think that for me, my score could call into question my quantitative aptitude. The thing is, I’m not bad at math! I got a 780 on the Math portion of the SAT, and I think I just didn’t do so hot this time because I get sucked into certain problems and then have to rush through others. Please advise! Also, we’ll be publishing blog posts specific to Stanford GSB GMAT scores and the GSB application in the next few weeks, so check back on this blog! Cheers to the efforts that you have put in for this! Thank you for the writing back. I really would like to know when can we expect such infographic. If possible please point us to some reliable source of such information as I believe that this is the time that admission application decisions are being taken throughout. Oh man, I wish I could give you a specific date, but our designer is very busy these days! Sorry for not being able to get this information to you sooner. 🙂 I did a bit of research for you, though, which I hope you can use as a helpful jumping off point. This site (and this one) both contain useful rankings of European business schools, but neither contains much information about GMAT scores, unfortunately. My recommendation would be to narrow down which programs you’re most interested in attending, and then email or call their admissions departments (or maybe even just check their websites) to get more specific information about average GMAT score ranges. It’s a bit time-consuming, but research is definitely an important part of the b-school admissions process. I hope that helps! Thanks again for reading the blog. Can you provide info about colleges in top schools in Singapore or asia ? Also i can see University of Maryland (US) is missing in list . Does it not come in top schools in US ? When it comes to information about business schools in Singapore and Asia, I’ll admit that I’m a bit out of my comfort zone. I’d recommend checking out this article and this one from Bloomberg Business for more information. Yep, but we had to start somewhere! Have the other infographs come out yet? How important is work experience, can we get into any of these schools without work experience? I hope that helps! 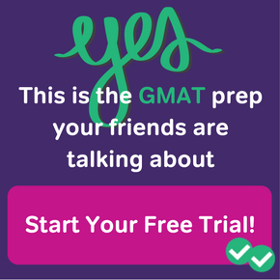 Best of luck with your GMAT prep, and let me know if you have any other questions.